Major Israeli Daily: Our Government Is "Arming Neo-Nazis In Ukraine"
It's not everyday that one reads such a shocking headline as this in a major Israeli daily paper: Rights Groups Demand Israel Stop Arming neo-Nazis in Ukraine. An investigative report in Haaretz, Israel's longest running and arguably most influential newspaper, details a broad campaign underway by over 40 human rights leaders to pressure Israel's High Court of Justice to order the cessation of Israeli arms exports to Ukraine, as they argue militant neo-Nazi groups are among the recipients of those weapons. We've covered the infamous Azov Battalion many times before, and though it took the mainstream media years to catch up to this story, the group is so openly and unrepentantly pro-Nazi that even US Congress was forced to take notice while ironically at the same time directly propping up their political patrons in the pro-EU/US Kiev government that Washington helped install in 2014. In terms of the extent of covert Israeli support to such groups as the neo-Nazi Azov Battallion, Haaretz lists as examples high level meetings between Ukrainian military officials and Israeli defense companies, especially involving contracts related to communications systems, warplanes, and helicopters; as well as Tel Aviv's approval for the Ukrainian company Fort to produce Tavor, Negev, and Galil rifles under Israeli contract; and further IDF officers and instructors overseeing military training schools that include Azov militiamen; and perhaps most shocking a Ukrainian media interview which featured a former Israeli army officer who admitted to participating in battles in eastern Ukraine while also training militiamen. There's also of course the fact that Azov Battalion itself has never been shy about showing of its Israeli military hardware in social media photographs and videos. Haaretz concludes: "All of this is unambiguous proof that Israel is exporting weapons to Ukraine, knowing that they reach right-wing militias, some members of which are avowed neo-Nazis who enjoy the support of the authorities." 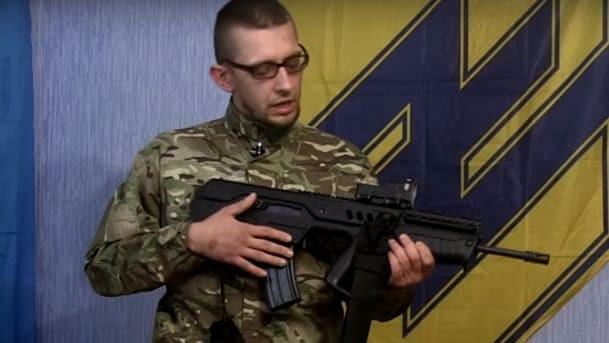 As we detailed previously Azov militia members sport fascist symbols from the World War II era and their founder and chief patron, Andriy Biletsky — also a prominent member of Ukrainian parliament — has openly declared that the goal of his group is to “lead the White Races of the world in a struggle for their survival.” He's recently pushed to ban "race mixing" in the Ukrainian parliament. Yes, an unfortunate yet familiar theme: your tax dollars funded the arming, training, and feeding of neo-Nazis in Ukraine. That’s what we bought into when Washington decided to launch a regime change operation in that bedraggled corner of southeastern Europe. Your money has also long gone toward propping up the country’s war-stricken economy – albeit not before corrupt government officials rake their cut off the top. And now it appears the Israeli public and rights groups are wising up to the Israeli government's longtime partnership with Washington in propping up fascist Ukrainian paramilitary groups. Last May right-wing groups marched through Odessa, their leaders claiming that the city belongs to Ukrainians, not Jews, and that they would get rid of the latter. All of this ought to of course be especially sensitive in the Jewish state — which is possibly why it's taken so long for the explosive issue to receive mainstream Israeli media coverage. It will be interesting to see if Israel's High Court of Justice acts on or even acknowledges the demands of the Israeli activist groups currently petitioning for a ban on weapons exports to Ukraine, but we won't hold our breath.